HALLOWE'EN AND BRING A FRIEND TO DANCE CLASS DAYS! 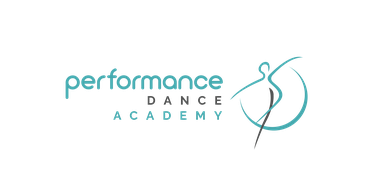 A favourite PDA Tradition since 2001 - Your child may bring one friend/sibling (only one) in their own age group to participate in dance class with them. They both wear their Hallowe'en costume - as long as it is safe to dance in. The class will be Hallowe'en themed and peanut-free candy will be given out! · Bring a Friend does not apply to Acro classes, Pointe Classes and Company Classes; you may still wear your costume to class. · The friend or sibling must be within 2 years of age of the dancer and be physically able to safely participate. · Friends and siblings must be minimum age 3. Please keep children's safety in mind. · Friend and siblings - by attending Bring a Friend this is implied consent, waiving all responsibility for any loss and/or injury while on the premises. Please explain this caveat to your child's friend's parents/guardians. Dancers and their friends wear their Hallowe'en costumes and learn fun Hallowe'en dances! Choose a friend that is near your own age! Hallowe'en Candy (safe candy) will be handed out at the end of each dance class!